The Formula Conferences cover all aspects in Formulation Sciences and Technologies and constitute a frame for knowledge transfer and dialogue between Academia and Industry. 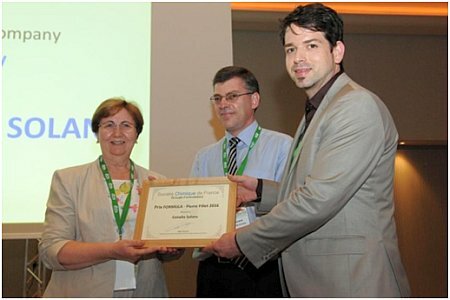 This annual event is organized jointly by various European Societies namely the French Chemical Society (SCF), the British Formulation Group of the Royal Society of Chemistry (FSTG/RSC), the German Society of Chemical Engineering and Biotechnology (DECHEMA, Germany), Scandinavia Chemical Societies (SP Chemistry) and the Spanish Group of Colloids and Interfaces of the Royal Societies of Chemistry and Physics (GECI/RSEQ-RSEF), as well as several companies (AKZO-NOBEL, BASF, BAYER and EVONIK, ensuring a truly and deep dialogue. The Formula VIII conference with the motto “Formulate your innovation. Innovate your formulation” has highlighted that technical innovation and scientific discoveries in the chemistry field are the driving forces to offer breaking new products to the market. The Comité Español de la Detergencia, Tensioactivos y Afines (CED) founded in 1957, is an independent entity constituted by National associations and enterprises related to the detergency, cosmetics, and detergent raw material industry. 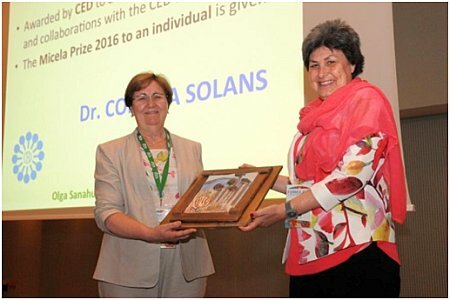 The Micelle Award is to recognize the participation and contributions to the conference organized annually by the CED for 46 consecutive years.